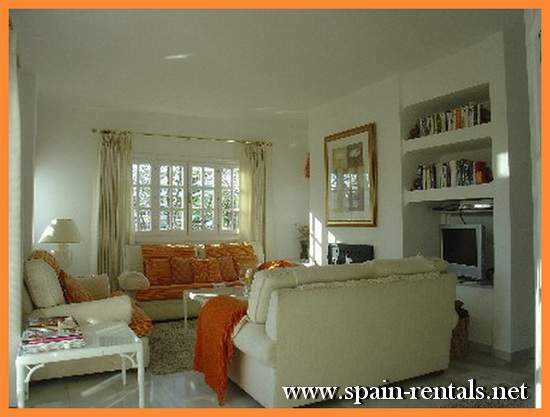 Marbella on the Spanish Costa del Sol is one of the most popular and developed Mediterranean beach resort cities. Situated between Gibraltar Straits and Malaga in the foothills of the Sierra Blanca, Marbella is also perfectly located as a base to explore the surrounding cities and natural beauty of the countryside. However most tourists come to Marbella not for the nearby mountains or the adjacent cities, but to spend their time enjoying the beaches and the many tourist amenities. With about 2,900 hours of sunshine a year and an average annual temperature of 18°C Marbella has perfect beach weather. Tourists can reach the city by air, arriving in Malaga Airport; car, along the N340 coastal road or by bus. Once there most holiday accommodation is close to the beach and other attractions so you can see most of the sites on foot. Alternatively there are taxis, car rental companies and the local public bus service. Being so popular Marbella offers many accommodation options, whether you’d like to stay in a resort hotel, a wellness spa resort, a self-catering rental or a guest house there are plenty of accommodation options to choose from in Marbella and something to suit all budgets. The city’s excellent infrastructure and melting pot of cultures makes it a very cosmopolitan travel destination where you can dine in restaurants serving a variety of cuisines including traditional Spanish tacos and the excellent freshly caught seafood. Many of the restaurants are Chiringuitos or beach restaurants and offer brilliant views of the sea while you eat. Explore the history of Marbella in the Casco Antiguo or Old Town, see the Moorish castle and the ancient churches. Take in the Marbella way of life in Plaza de Naraja or Orange Square where you can shop in elegant boutiques or sip on Sangria in an outdoor cafй. The quaint narrow alleyways which meander through the city centre offer intimate bars to discover and small specialty stores. For a green oasis not far from the historic center of Marbella visit La Alameda Park or follow the Paseo Maritimo promenade for beautiful sea views. Those looking for culture will find it in the exquisite architecture of the historic center, in the many museums, traditional cuisine and the cultural festivals held regularly in the city. The main attraction is definitely the 24 Marbella beaches running from Cabopino to Puerto Baus covering 27km of coastline. There are family beaches, beaches for the young and sporty as well as unusual beaches like the black sand beach at Rio Verde and the stunning golden sand beach of Neuva Andalucia. Many of the Marbella beaches have been awarded the Blue Flag for excellence. The beaches are well maintained and clean while the water is crystal clear. Marbella has been compared to St. Tropez for its trendy, jet-setting atmosphere and if you’re looking for exciting nightlife you’ll find it here. Celebrities and the rich and famous often arrive in Marbella marina in their expensive yachts and come on shore to party.